Cosmetic Dentist Spring TX | Smile makeovers with veneers, crowns, whitening & more! 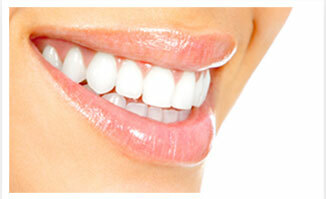 You want an amazing, natural-looking smile while achieving optimum dental health. We help you achieve your goals by emphasizing the aesthetic aspect in ALL our work, because we know that when your smile looks great, you feel great! Utilizing the latest technology, we combine preventive care, tooth-colored fillings, and restorative techniques, resulting in a smile makeover that is both accessible and affordable. There's no reason why you can't have the superb, matchless smile you've always wanted. Ask us what crowns, bonding, and whitening can do for YOUR smile! Our crowns do more than match your existing teeth, making it impossible for anyone but your dentist to tell the difference. The advanced material components of our crowns will add strength and even save a damaged tooth. If you have a broken tooth or one worn to the point that a simple filling will not restore it to full functionality, ask about our state-of-the-art crown technology. If you have severely stained teeth – for example, if you ever took the antibiotic tetracycline – you may know that not all whitening treatments will work to bring back the brilliant white you desire. We are excited to offer a new teeth-whitening procedure called KöR Whitening for extreme staining. If you've ever been disappointed in the results from other methods, you will be amazed at this technique. Widely recognized as the world's most effective teeth whitening system, KöR Whitening offers cost-effective solutions, from phenomenal home whitening for average patients to astonishing treatment of tetracycline cases and everything in between. Do you have chipped, cracked or worn teeth that are visible when you smile? What about unattractive gaps or deep discoloration you'd like to see go away? If so, our porcelain veneers may be the answer to your blemished teeth. Veneers are thin, hard sheets of the most advanced dental ceramic available that is made to match the natural color of your surrounding teeth. They can be painlessly bonded to your teeth in a way that makes them appear straight and uniform, producing an attractive smile. Great oral health means more than regular cleanings and the occasional filling. Many patients who've dealt with injury, illness, bite problems, and simple wear can have recurrent issues that they don't recognize began in their mouth. Bruxism (tooth grinding); TMJ; periodontitis; and/or crooked, misshapen, or missing teeth can combine to cause headaches and migraines, shoulder and neck strain, toothaches, chronic bad breath, and a generally unattractive appearance. But you don't have to accept this situation. Our doctors will sit down with you to discuss your concerns, symptoms, and goals and to take digital X-rays, photos, and 3-D cone beam CT scans. Then they will present treatment options to address your problems and help you achieve a healthy, pain-free, and amazing smile. We can also discuss phased treatment and financial planning that will put your dream smile within reach. Schedule a complimentary consultation by calling (281) 376-1214, and discover how cosmetic solutions and teeth whitening can give you a brilliant new smile!